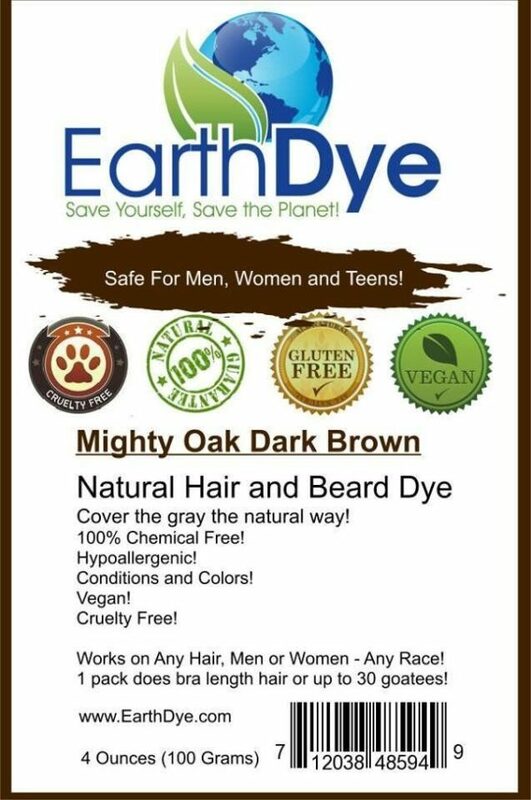 EarthDye dark brown beard dye, works on all hair types. 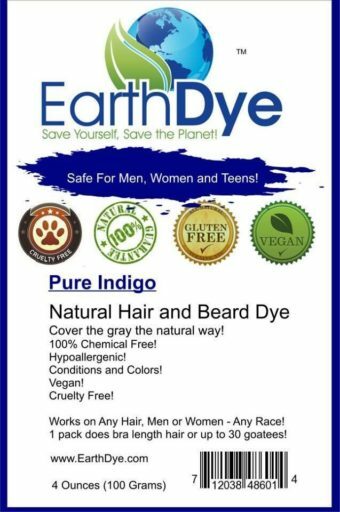 All natural plant product; No Chemicals, No PPD, No Ammonia, No metallic salts. 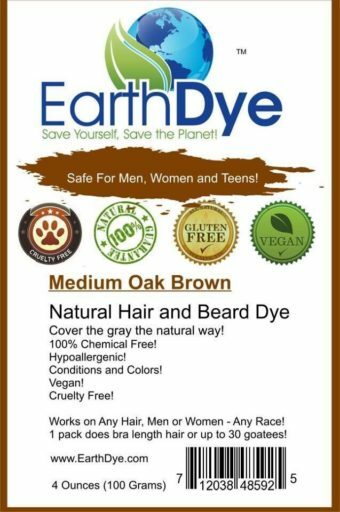 No chemicals mean this color will not lighten your current hair color. This color will turn gray/white/silver/blonde hair to a glistening dark brown shade. Any darker strands of hair will stay the same shade since our product will not lighten it. 100 grams powder is enough to do mid length hair or facial hair up to 15 plus times, depending on the length and thickness of the hair. If you trim your facial hair weekly then you have to reapply once your dyed hair is trimmed off. If you keep the hair long your will only need to do root touch ups as the new hair growth becomes noticeable.